SB 277 is a bill, that if it were to become law, will make it absolutely mandatory for all children in California to receive vaccinations without parental consent. This means that no matter faith, science, religious or personal beliefs, the medical industry along with law enforcement (if necessary) will force parents to vaccinate all children. While some cheer this law, due to the “Disneyland Measles” outbreak earlier in the year, others are demanding that it be stopped. Regardless of your opinion regarding vaccinations, making them mandatory will allow the risk of permanent neurological injury to genetically vulnerable children who are unable to efficiently eliminate the many toxins found in vaccines, as the following article highlights. Vaccines given to children in America today are admitted by the CDC to contain aluminum, mercury, monosodium glutamate and formaldehyde — all known neurotoxins. While healthy people with the right genetic makeup might eliminate these toxins relatively quickly, there is a subgroup of genetically susceptible children and adults who cannot. These individuals are genetically “hyper-susceptible” to vaccine damage. In effect, they are “genetic ticking time bombs” of vaccine damage. SB 277 makes no mention of this genetic susceptibility, nor does the law require the state to conduct genetic screening of children before subjecting them to the potentially dangerous medical intervention of vaccines. SB 277 also refuses to require vaccine makers to clean up their vaccines and remove all the toxic chemicals and heavy metals that damage vaccine injury victims. Those children who suffer from these genetic vulnerabilities are being deliberately sacrificed by the California government in its aggressive, corporate-constructed effort to coerce all children into being vaccinated. Do vaccines really damage children? Of course they do. Recently, the UK government agreed to pay $90 million to families of children who were permanently brain-damaged by the swine flu vaccine. 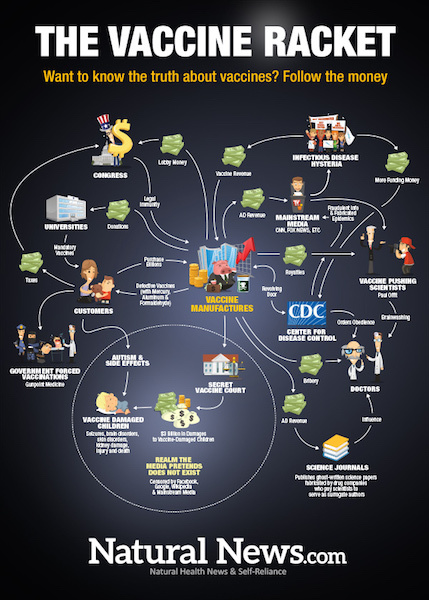 In the United States, the vaccine injury compensation program has paid out nearly $3 billion in financial compensation to families of children who were proven to have been permanently damaged by vaccines. Instead of attempting to make vaccines safer, the vaccine industry engages in widespread scientific bullying, deceitful social engineering, scientific fraud, bribery of doctors and media infiltration to falsely claim all vaccines are safe. SB 277 attempts to coerce all children into being vaccinated without informed consent, including those children who are genetically susceptible to vaccines and therefore far more likely to be harmed by them than other children. But the real science reveals that a common genetic polymorphism (gene variation) affecting the MTHFR gene makes children especially vulnerable to vaccine damage (i.e. “Adverse Events”). SB 277 does not require any genetic screening at all before mandatory vaccination, meaning that the new law will force children who are likely to be harmed by vaccines to be injected with vaccines against their parents’ consent. Not only is this a gross violation medical ethics, parental choice and human rights; it’s also a violation of medical science which reveals some children are more vulnerable to vaccine damage than others. Genetic polymorphisms in genes expressing an enzyme previously associated with adverse reactions to a variety of pharmacologic agents (MTHFR) and an immunological transcription factor (IRF1) were associated with [Adverse Events] after smallpox vaccination in 2 independent study samples… All of the vaccinia virus-naive subjects who were enrolled in the study developed pock formation at the vaccination site, and a subset experienced systemic reactions that included fever, rash, or regional lymphadenopathy. …Three variant genotypes were confirmed to be associated with AEs in the second study. These included 1 SNP in the methylenetetrahydrofolate reductase gene (MTHFR) (P < .01) and 2 SNPs in the interferon regulatory factor-1 gene (IRF1) (P = .03). The strong significance of the association in the replication study suggested a high level of plausibility that the gene products were involved in the pathogenesis of the [Adverse Events]. This study confirms that vaccines caused a spike in adverse events among those with the genetic predisposition. Vaccine damage, in other words, can be correlated with a child’s DNA. A genetic test, conducted before vaccinating, could alert a parent or a doctor to a heightened risk of vaccine injury. Armed with this information, a parent might rationally decide to avoid vaccinating that child and thereby prevent that child from becoming brain damaged or even made autistic by the vaccine’s toxic adjuvants and additives. The vaccine industry, however, doesn’t want anyone to be aware of this genetic correlation with vaccine damage. Why? Because vaccine manufacturers and the CDC are pushing a total quack science delusion that vaccines harm no children at all. Any discussion of a genetic predisposition must involve the acknowledgement that vaccines can and do damage some children… and that idea simply isn’t allowed to surface in the mainstream media because it would contradict (and expose) all the decades of outright lies, scientific fraud and criminal conspiracy between the CDC and Big Pharma. The quackery must be maintained by the vaccine industry, in other words, or else the entire house of cards might come tumbling down. The following letter was written by a concerned citizen and sent to a list of lawmakers in California. It was also sent to Gov. Brown, who will soon have to decide if he’s going to sign SB 277 into law (and thereby go down in history as the man who committed a form of medical genocide against California’s genetically at-risk children). …if forced vaccinations are mandated, then all families need to be aware and have the right to know about their children’s genetic weaknesses before mandatory vaccinations are imposed! The following is only one example of genetic defects that affects a large number of the population: Did you know that approx 15% of the general population have 2 mutations in the MTHFR C677T enzyme which means they are unable to remove most toxins from their body? Approximately 40% of Mexican descent, approx 30% of Italian descent, approx. 40% of French Canadian descent have inherited both MTHFR C677T enzyme defects, one from each parent. It is like having a 30 year old car that has rarely had its oil changed, your body can only excrete 20-30% of toxins and hold on to the rest and then the toxins accumulate in the body and cause all sorts of health problems. I have both of the MTHFR C677T snps, so does my son, and had reactions to vaccinations and he has been somewhat sickly most of his life. The point I am making is that we need to know what our genetic weaknesses are before being subjected to vaccines and their preservatives. If these senators sincerely believe that mandatory vaccinations for all is for the good of the people, then it needs to be mandatory that genetic counseling and testing be a requirement prior to the forced vaccinations. I am asking the senators to think this through before too many more genetically weakened children are harmed. One remedy to override the MTHFR C677T defect is to take methylfolate and Vitamin B12, and never take folic acid, a cheap synthetic form of folate which is found in most of the vitamin supplements on the market. Folic acid with Those with the MTHFR C677T cannot break down folic acid and folic acid accumulates in the body and becomes toxic. It is so inexpensive to test for genetic defects, $99 if you order through www.23andme.com or order genetic tests from other companies through your doctor’s office is probably a lot more costly and should be a required covered test under our mandatory Health Law. Before children are vaccinated, there needs to be some sort of mandated “Your Right To Know Your Genetics and Side Effects of Vaccinations” disclosure and genetic tests done prior to the forced vaccinations so parents can chose to opt out upon disclosure of genetic results. 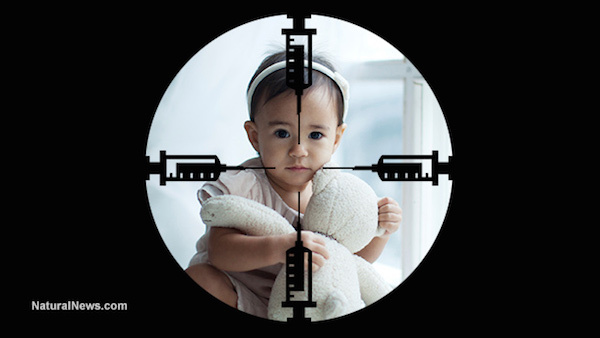 Share this story, STOP the vaccine violence against children in California! MTHFR, Folic Acid, and Mitochondrial Disease… is there a link? 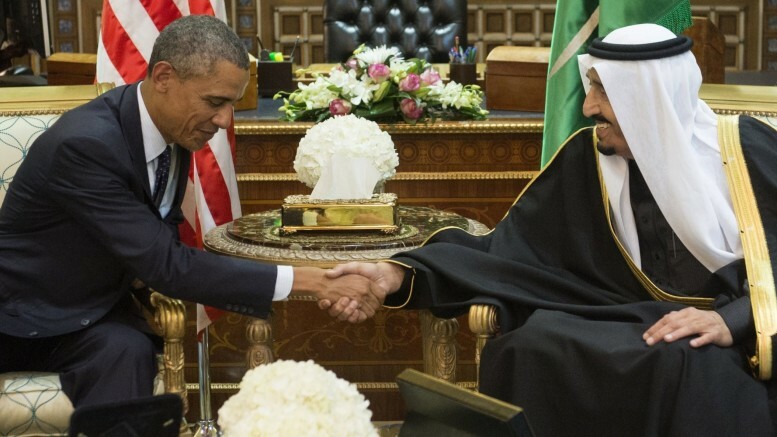 Saudi Executions Followed Huge Arms Deal With U.S.